Showcasing the ability of the NIKKOR lenses, the portrait images focus on the people who work behind the scenes to make Europe’s Christmas celebrations a reality. From one of Lapland’s reindeer handlers to a Christmas tree farmer in Denmark, as well as British stocking and card printers and a German toy maker, the exclusive photography series reveals the skill and artisan craftsmanship of the festive season. 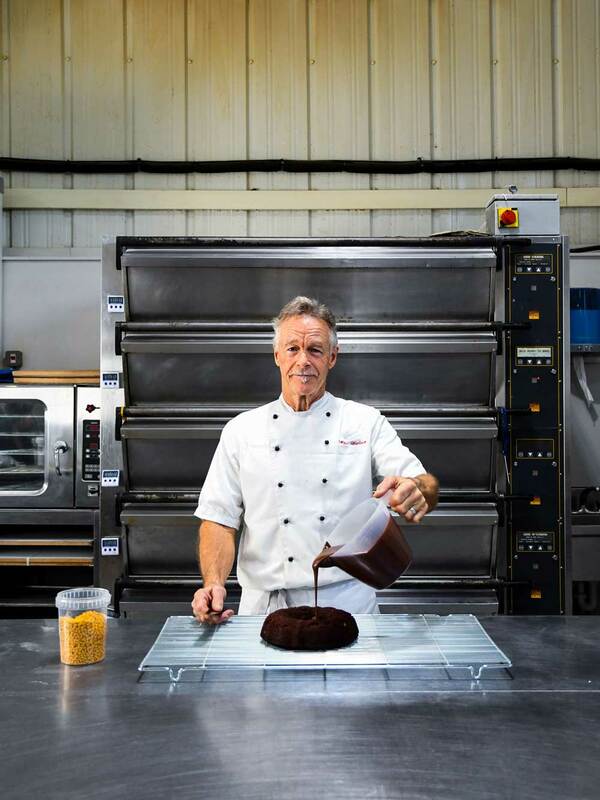 British cake maker Mike Wallace has been the head baker at Meg Rivers Artisan Bakery for 14 years, where a key part of his role is baking a range of festive treats. Mike typically starts preparing for Christmas in September. The Christmas cakes, puddings, wreath cake, mince pies and loaf cake are baked in small batches in the morning and finished and decorated by hand in the afternoon, ready for delivery the following day. For Mike, Christmas is about spreading joy to others and he particularly enjoys seeing his customers return every year for his award-winning iced Christmas cake recipe. 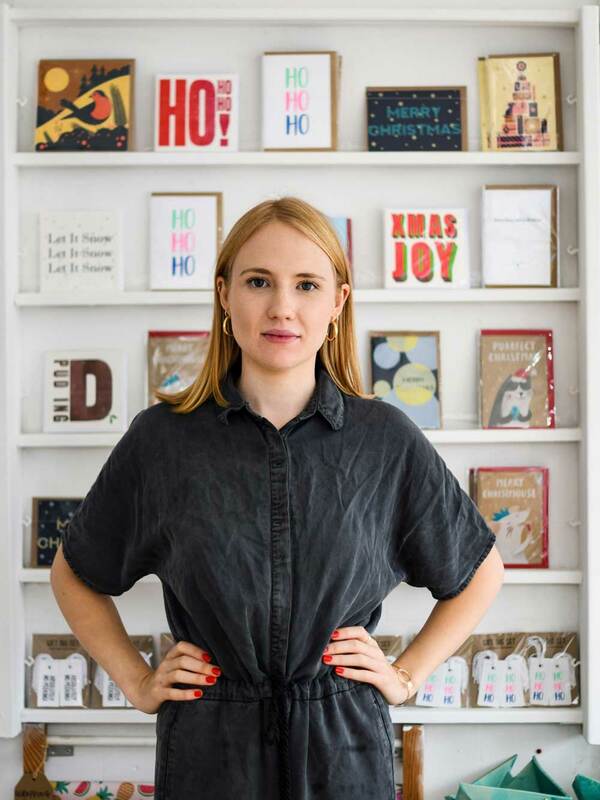 Brighton-based card maker Jade Downer co-founded Tidy Print, her screen printing studio and shop, with her partner Daniel Tomlinson just last year. 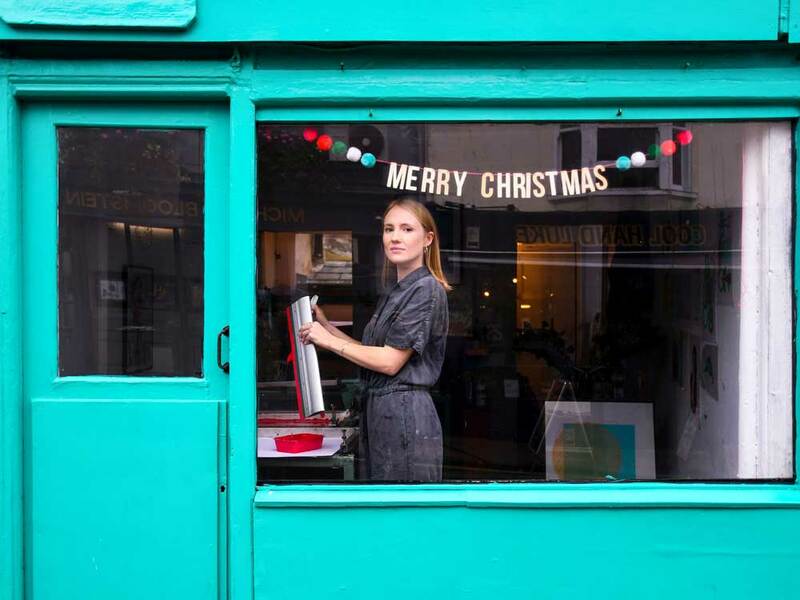 Since opening, Jade has not only produced her own cards but offered Christmas card workshops to teach people the basics of screen printing. During Jade’s workshops customers learn how to design their own Christmas cards. Using stencils, colour mixing and printing, they are given the opportunity to create personalised festive messages for their loved ones. Yorkshire’s Julie has been working at The Rocking Horse Shop since 1999. In those 18 years she has become a master in her craft making bespoke saddles and bridles for not only old and new rocking horses, but also for hobbyists who set out to make their own with the help of the plans supplied by the shop. Orders for Christmas presents are taken as early as March, from families wanting a timeless, classic gift. Often old horses are brought in for restoration from people who want to recreate the delight of their beloved childhood possession and give their children the same enjoyment. Julie remarks that it’s a privilege to be able to be part of such a special gift and has also noticed a trend towards the gifting of presents that can be passed down through the generations – many people ask them to put special keepsakes and photos into the body of the horse as a time capsule. Tom Count works as a production assistant at Santa Sacks, where he spends his time printing and personalising vintage hessian sacks and stockings in time for Christmas. 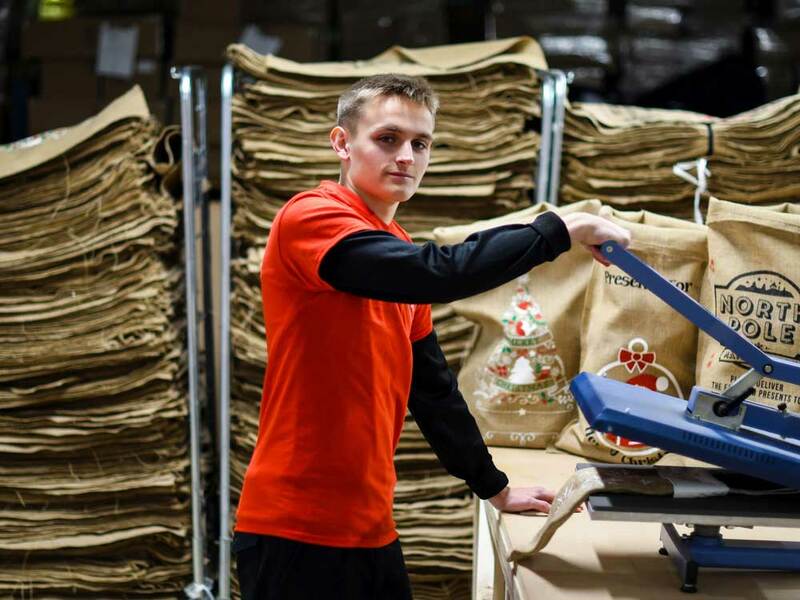 He ensures that every individual sack or stocking features the name of its eventual owner by printing the letters onto the products using a heat press. The finishing touches are added before they are carefully packaged up and wrapped in a bow before Tom ensures they are delivered on time for Christmas. Tom sees his work as an opportunity to help others spread magic over the Christmas season with thoughtful, personalised gifts. He enjoys feeling part of a Christmas tradition that sees families buy a sack for their baby’s first Christmas, which they use year after year. 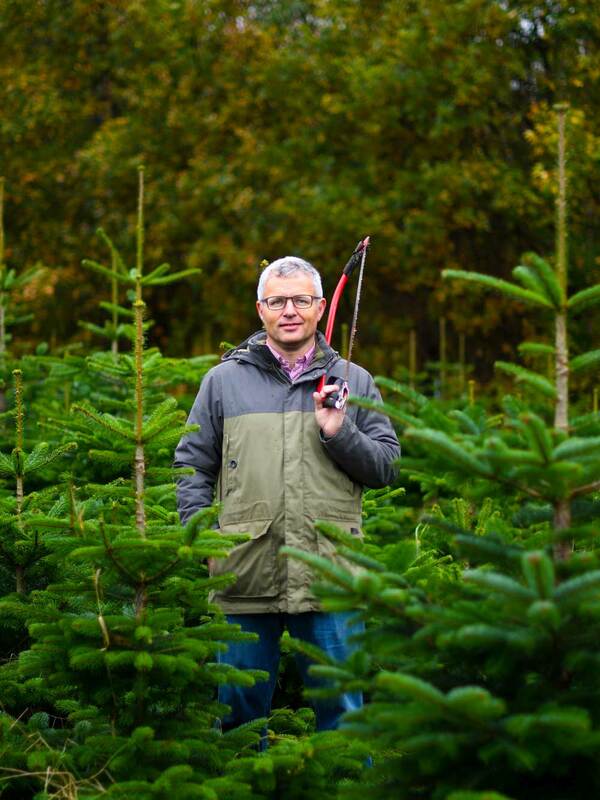 Danish Christmas tree farmer Anders Larsen grew up on a small island 150km from Copenhagen, called Lolland. During the week Anders and his wife practise law in Copenhagen, but at the weekend they work on their Christmas tree farm and plantation. Anders and his wife purchased the Christmas tree farm two years ago and now run it as a family business. Anders and his wife work all year to take care of the Christmas trees before they start preparing them for sale from November. They often call on their children and parents to help later in the year when the farm gets busy, and Anders sees the farm as an opportunity to bring his, and other families, together. It’s a Danish tradition for families to choose and cut down their Christmas tree as part of their festive preparation. He looks forward to seeing them cycle to the farm, spend the afternoon selecting their tree to then ride home on their bikes with their children and the Christmas tree strapped to the bike. 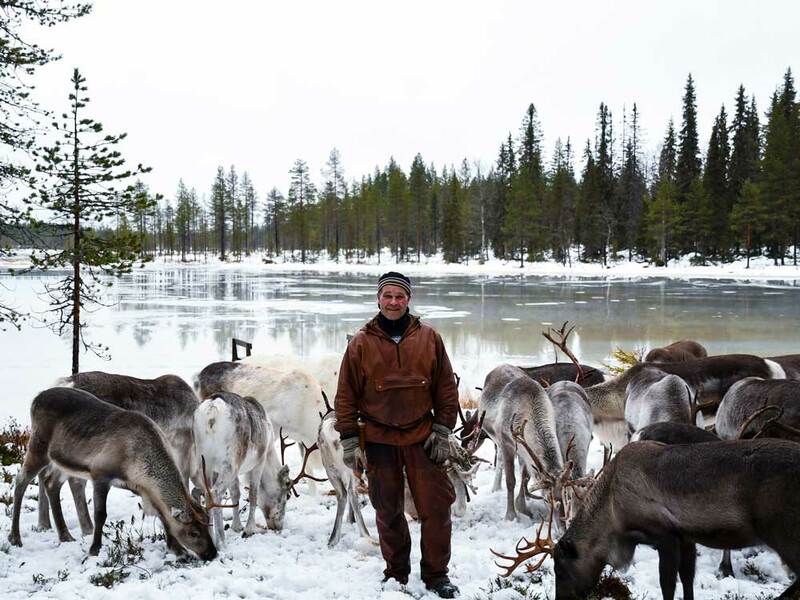 Upi Virkkula has worked as a reindeer handler in Salla, Finland, for almost two decades. He takes care of the reindeer all year – from planning safaris to arranging feeding trips and even visits to witness the majestic northern lights. Upi describes Salla Reindeer Park as a unique escape for people to experience a different side of Christmas, and seizes the opportunity to introduce people to the beautiful Lappish nature. A highlight of his Christmas season is the park’s annual reindeer race – a traditional and popular sport in Lapland where visitors are encouraged to compete to secure the fastest time. 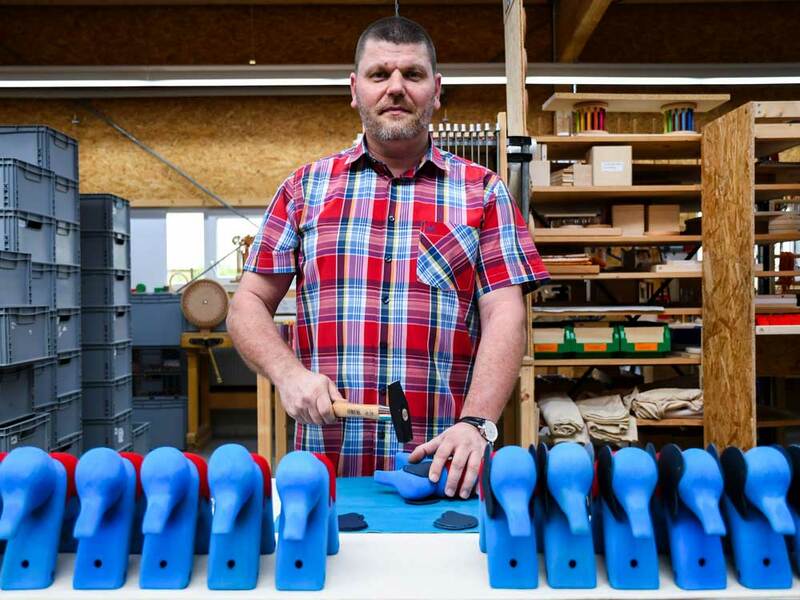 German toy maker Daniel Aust has headed up the Grimm’s Toy workshop for the last 11 years. He combines creativity and craftmanship to produce handmade, natural and long lasting wooden toys and ensures the smooth running of the workspace, from overseeing his staff to taking responsibility for the technical and mechanical devices. For Daniel, toy making is a way of bringing joy to a child at Christmas, as their play is such an important part of childhood. He enjoys hearing the wonderful stories from customers after they’ve bought a classic pull along or stacking toy as well as watching their child play with them for the first time. Photographers who are inspired by the ‘Faces of Christmas’ series, and want to experiment and develop their portrait photography can take advantage of a cashback promotion on the NIKKOR lenses feature in the campaign. Please see below for more information about the ‘faces’ of Christmas featured in the campaign, which includes details of their involvement in delivering the festive traditions. Paloma Parrot is a German photographer based in Dortmund. She has been sharing her perspective behind the lens for over 20 years. She is known for her minimal, graphic style and obeys the mantra that “less is always more’’.